Hankey K-8 is excited to be kicking off our annual Global Awareness project focusing on the idea that “HOPE DRIVES ACTION.” Dean Jacobs; world traveler, author and inquirer, will be visiting the campus on Monday, September 26, meeting with students throughout the day to engage them in his “Wondrous Journey- A two year journey that crossed 28 countries.” Dean’s presentations, weaving together uplifting stories and visual images, will help our students create a foundation of hope, upon which they will be taking action throughout the rest of this school year. Parents– Dean and Principal Aguilara cordially invited you and your family to attend a Hope Drives Action Night, scheduled for Monday, September 26, from 6:30-7:30 pm in our MPR. Dean will share his adventures, explain how to take the IB Learner Profiles and bring them alive at home, and light the flames of Hope Drives Action within you as well! Make sure you check your child’s backpack! Fall Fundraiser envelops came home on Friday, following our exciting kick off assembly. Extra envelopes are available in the front office. Drawings for extra prizes will continue next week. The final day to return order forms and packets is September 23rd. Monies generated from the Fall Fundraiser pay for assemblies, field trips, student programs and Primary Music. The PTSA Reflections art contest is here! Reflections is an arts based program sponsored by our PTSA that allows your K-8 Carl Hankey student to create his/her own art project in one of six different categories based on a specific theme. Rules and specifics for each category are available at the front office. Projects are judged by experts in each field, with the winning entry in each category moving on to the district level and possibly on up to the national level. Deadline for CARL HANKEY K-8 entries is Friday October 14th, 2016 – No late entries will be accepted. Please turn entries in to the Carl Hankey Front Office addressed to PTSA Reflections Chair, Lindy Flowers. Go on!! Tell us your story!! Hello Hankey Families and welcome back to school! We are looking forward to a wonderful year. Please mark your calendars for the FIRST PTSA Meeting of the year on Friday September 2nd at 8am in the MPR. We will be discussing all the wonderful things that the PTSA has planned for the new school year! If you have any PTSA related questions before then please do not hesitate to contact me at howdywho2@gmail.com. Starting now, until the end of the school year, Hankey will be raising money for PTSA programs by sending flamingos to family and friends! 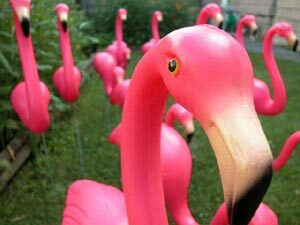 For a small donation, you can surprise everyone by sending them a flock of flamingos that will decorate their front yard! If you live in a condo or apartment, a pot of flamingos will flock to their front door!! Under the cover of darkness the flock will arrive and stay for 2-3 days until they migrate to the next yard. Your child should come home with a Flocking For Hankey Flyer with an order form on the back or pay online now! Once the order is received by Hankey, a flock will appear on the recipient’s yard along with a letter explaining their arrival. You can choose to let the person know it was you who flocked them or keep it anonymous! This is such a fun community event!! If you have any further questions please contact Jill Murray at tazandzig (at) gmail.com. So who will you flock first???? ?